Storing Champagne correctly is imperative so as not to impair the quality of the wine. 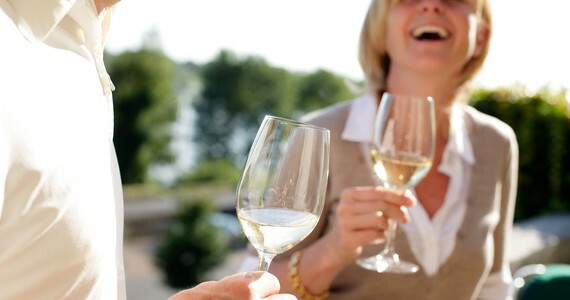 Champagnes are already aged properly before being sold and therefore do not necessarily benefit from additional ageing. As a rule, non-vintage Champagnes can be kept unopened for three to four years, and vintage cuvées for five to ten years. Champagnes will change as they age – most will become a deeper, golden colour and loose some of their effervescence. 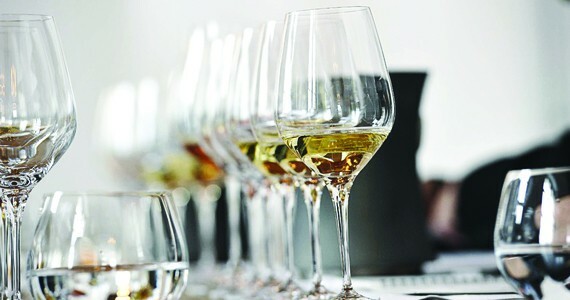 The taste and aromas of the wine will also change as the flavours mature over time. It is important to keep Champagne away from heat, light and vibrations and as little disruption to these factors as possible is key to maintaining Champagne at a good quality. 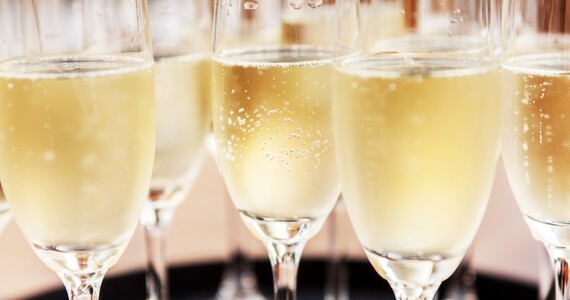 Recommended temperature for storing Champagne is 10°C-13°C. However, there are stirrings from recent debate originating in America, arguing that storing Champagne in the fridge actually prolongs its life. 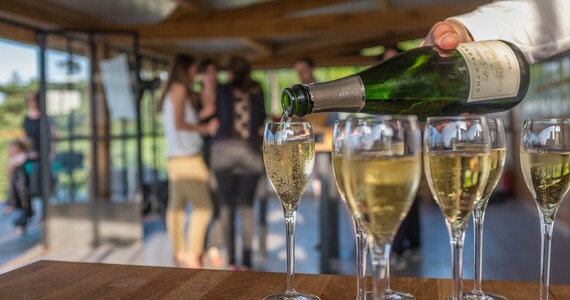 This is contrary to traditional advice, suggesting that Champagne should not be kept refrigerated for more than a few months as the air is considered too dry. Either way, keeping Champagne in the door of the fridge is a no-no, as the constant opening and shutting of the fridge door will disturb the bubbles. Kitchens in general are not an ideal place to store Champagnes, due to the ever-changing temperature when cooking. Do chill Champagne, but don’t ice it. Before serving Champagne, it does indeed need to be chilled. The optimum serving temperature for Champagne is between 8°C-10°C. You can achieve this by either chilling it in the fridge for three hours before serving, or in a Champagne bucket in a mixture of ice and water for 30 minutes. Never chill Champagne in the freezer as it will kill the bubbles and general over-chilling will mean that the wine is too cold to release its aromas and flavours. Quel dommage! Do be careful when opening Champagne. There is around five to six atmospheric pressure within a bottle of Champagne, which has the capability to pop a cork out at 50 mph. When opening a bottle, remove the foil and then release the metal cage. Hold the bottle away from you at a 45° angle, place the cork in the palm of your hand and whilst holding the base, twist the bottle slowly. If the cork refuses to budge run warm water on the neck of the bottle for a few seconds. It is better etiquette to open a bottle of Champagne with a hiss, rather than a loud pop. In refined dining circumstances, guests should not be disturbed by the ‘popping’ sound of a Champagne bottle. To avoid the pop, you have to open the bottle very slowly and with a great deal of control. This said, many people live for the pop, fizz, clink and it can be considered an important part of the Champagne drinking experience. In times of celebration, a pop to get the party started is warmly welcomed by guests, adding a certain charm and sense of festivity to the occasion. Don’t serve Champagne in a mug. According to the CIVC (Comité Interprofessionnel du vin de Champagne), the ideal glass to serve Champagne in is a tulip shaped glass, as this will best keep the bubbles in. Due to the width of the Champagne coupe (said to be modelled on Marie Antoinette’s left breast) the bubbles and aromas of the drink are quickly lost into the air. Always rinse Champagne glasses with hot water before use and leave to drain. Do not dry them with a cloth or tea towel, as some of the fibres can stick to the glass and dull the effervescent stream of bubbles. Once the Champagne is poured, the colour of the drink should be admired and the bubbles should be dancing, light and effervescing. Inhale the aroma of the drink, and finally taste the wine. Keep in your mouth for a few seconds to enjoy the true nature of the Champagne – be it light or full bodied, delicate or complex. And most importantly…enjoy!